President Donald Trump seems to have convinced Mexico to keep all asylum seekers as their applications are being considered here in the U.S. This is something that the left said Trump could not accomplish. Looks like Trump has won through the art of the deal once again. Indeed, for a while even the Mexicans said that they simply would not allow those seeking asylum here to stay in Mexico while their paperwork was being processed in the U.S. Suddenly, all that has changed. After Trump greased the wheels a bit. Suddenly Mexico agreed to allow the asylum seekers to stay in Mexico. The U.S. and Mexican governments called it a unilateral move by the Trump administration, but the announcement came two days after the U.S. pledged $10.6 billion in aid for Central America and southern Mexico to make people feel less compelled to leave. Critics, including some legal experts, said migrants would be unsafe in some Mexican border towns and said the U.S. was illegally abandoning its humanitarian role, hinting at a legal challenge against a backdrop of previous courtroom setbacks for Trump on immigration. The government of Mexican President Andres Manuel Lopez Obrador, who took office Dec. 1, said foreigners will have temporary permission to remain in Mexico on humanitarian grounds after getting a notice to appear in U.S. immigration court and they will be allowed to seek work authorization. Of course, the fact is, most of those seeking asylum are filing bogus claims. According to a recent report, fully 91 percent of the asylum claims being made by these “migrant caravaners” are fake. 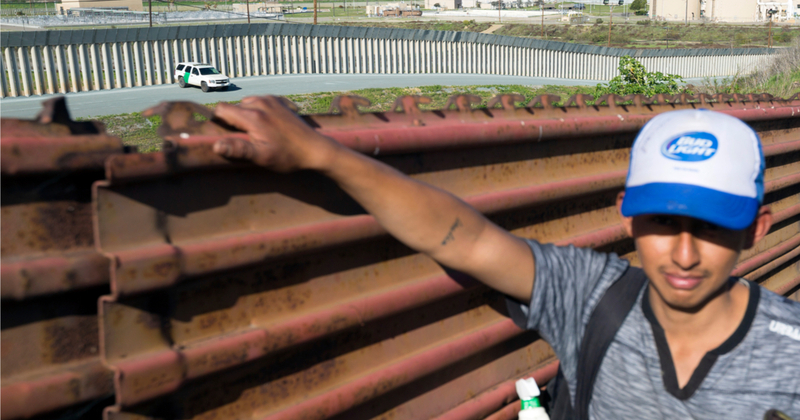 A new report finds that almost all the “asylum” claims by members of the so-called “migrant caravan”are bogus. According to numbers from the Department of Homeland Security, only a tiny 9 percent of the asylum claims filed by members of the migrant caravan are legitimate. Fully 91 percent are false. Current federal law requires illegal aliens traveling with their children form certain countries in Central America should be released into the U.S. after a 20-day detention while the government considers their asylum claims. “Where are those 91 percent today? While some are properly removed from the U.S. by Immigration and Customs Enforcement (ICE), many of those who are released on a promise to appear in court disappear into the country’s interior to live and work illegally. In FY17, only 1 percent of the 226,119 removals conducted by ICE were on Alternatives to Detention,” the DHS spokesperson said.